Following previous success creating two signature suites for the Radisson Blu Cologne, JOI-Design was commissioned to partner on another exclusive design project, the creation of two high-style companion suites for the brand’s hotel in Frankfurt. Both 80 sq m suites have a contemporary, residential feel and an elegant flair conceived to show how two utterly different design directions, one more feminine and the other more masculine, can indulge guests in high-touch, high-tech hygge. 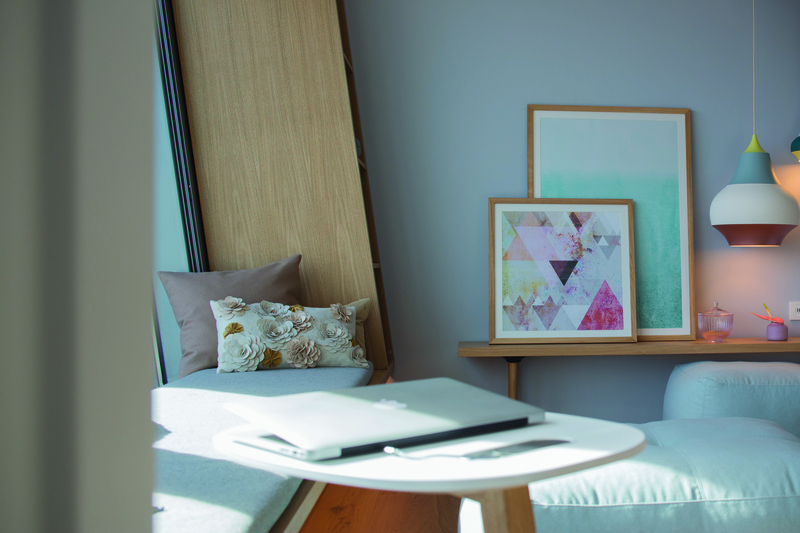 The Modern Serenity suite is awash with powdery shades of pastel blue and antique pink. Soft forms and contemporary Nordic-style furnishings calm the mind and soothe the soul. A plush sofa and wingback chair beckon guests to snuggle under a blanket with a book or soak up the breathtaking thrill of the Frankfurt skyline through full-height glazing. The Classic Monochrome suite has a handsome feel suggestive of a well-appointed haberdashery within an urban loft. Architectural forms and beautifully grained timber combine in furnishings such as the writing desk and its moulded chair. 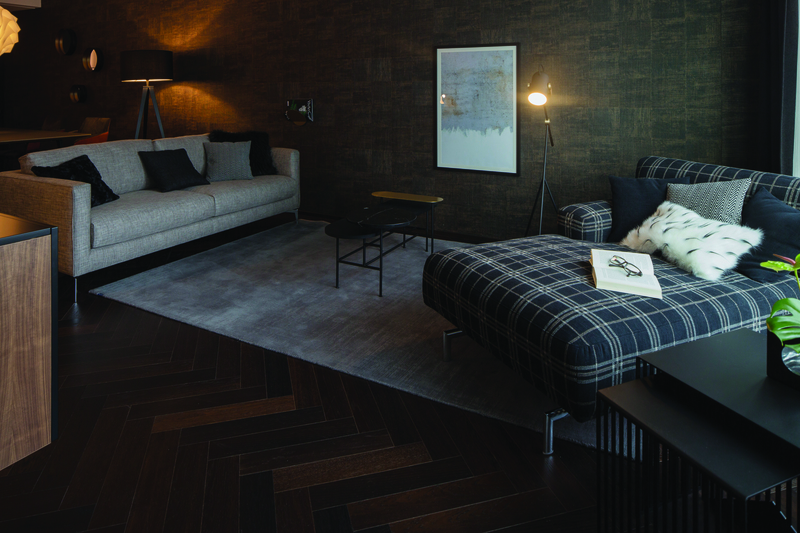 As an expression of precision tailoring in its finest form, carefully proportioned patterns like plaid, houndstooth, herringbone and woven linen adorn the chaise longue, sofa, headboard, rug and floor. Faux fur fabrics and a curvaceous pendant light above the dining table offer a counterpoint that softens the serious, “suit fabric” palette of tobacco, cognac, navy and charcoal. Photography courtesy of Simone Ahlers for JOI-Design.